Coyuchi and Primal Kitchen, the perfect pairing of California companies, are offering you the chance to win fresh linens and flavorful ingredients for your table. 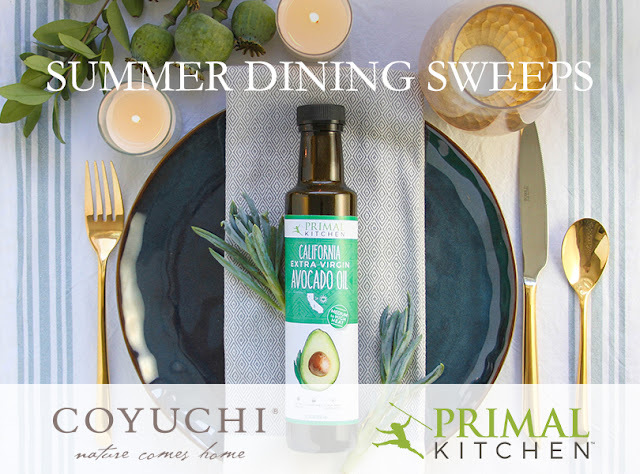 Enter to win a $150 Coyuchi gift card to outfit your organic table, plus a PRIMAL KITCHEN prize basket worth $150, featuring all-new Extra Virgin Avocado Oil, in addition to mayo, dressings and marinades made with avocado oil for nutritious and flavorful toppings on any meal. Plus, you'll win Dark Chocolate Almond Bars and Primal Fuel protein powder to keep you satisfied between meals. Two winners will be selected.